Before entering 2018, it’s a good moment to plan ahead, especially when your business is related to the rapid expanding cross-border e-commerce industry in China, so you can seize the growing opportunity and react to the market faster than others. Without doubt shopping festivals are the key focus, because they not only play a crucial role in creating the experiential shopping scenario, but impacting the whole e-commerce industry. The Chinese e-commerce industry still grows in a high speed. According to the latest 2017 Q3 financial report of Alibaba group, the revenue from core commerce increased dramatically 63% year-over-year to US$6,983 million. And mobile monthly average users already reached 549 million. The high growth rate was due to the constant rising of middle-class and their desire for better quality products. Furthermore, like Jack Ma, the founder of Alibaba once said: “In other countries, e-commerce is a way to shop ; in China, it is a lifestyle.” Nowadays, successful brands know that offering consumers the unique and fun shopping experience is essential to engage with them, and it just leads to the popularity of the online shopping festivals. It is the most important holiday of the year for families gathering together. With the additional year-end bonus, many people are willing to buy more gifts for family and themselves as good blessing. Key categories: clothing, shoes, cosmetics, personal caring, electricity and food. 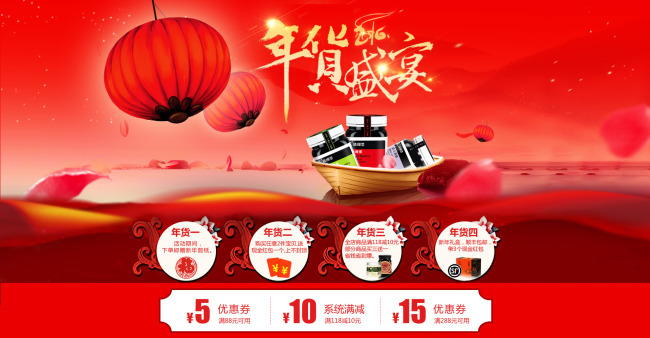 Consumption upgrade drives China’s economy and 38 Queen’s festival has been created to special target women’s need for living better and also it is the important opening shopping festival of the Chinese calendar year. During the period, not only launching spring/summer new seasonal products, but also releasing top trends lists to trigger and create women’s diversified needs. It is the most powerful festival in the first half of the year and the second prominent one after double 11. In 2017, according to the sales data from Alibaba, Tmall global increased 500% and supermarket grew 1300% than last year. Furthermore, the whole clothing category reached 1 billion RMB in 10 minutes, and it only took 26 minutes to sell 10 million lipsticks. The overall drink trend in China keeps going upward and it is becoming more causal, not only for special occasions. Wine drinkers are getting younger, the majority is millennial and upper middle class. The global wine & spirit festival just launched since 2016, but in 2017, brands which participated were from more than 50 countries and it only took 3 hours for the sales revenue passing 100 million RMB. It has expanded into the largest shopping day in the world. In 2017, the total sales reached US$25.3 billion was nearly 4 times the combined online sales of Black Friday and Cyber Monday in the US, with an increase of 39% than 2016, and totally 225 countries/regions participated. Last chance for the consumers who haven’t been satisfied in Double 11, and this festival is right for Christmas and the year-end shopping need. How can we prepare ahead for these largest shopping festivals? Leveraging your brand awareness and sales objective by joining these key shopping festivals apart than operating the shop on Tmall on a daily basis , is one of the key Chinese e-commerce market strategies. AS we know the Chinese market is not easy. A professional online marketing agency with experienced experts will help you understand the market easier by offering comprehensive market diagnosis specialized in your business category and continue to analyze deeper for planning customized online marketing strategies to conquer this promising market, but the most important thing is reducing your risk and anxiety. If you are interested in the new challenge and potential growth opportunity for your business through online marketing and ecommerce in China, please feel free to contact us directly through e-mail: INFO@2OPEN.BIZ, or just leave us a message below, we are glad to listen to you and will get back to you as soon as possible. 2open wish you a prosperous and fruitful year of the Dog! Happy 2018!